When I came in the beginning of September to Finland, everybody around me was telling me that this is the best part of the year for an orienteer. And they were all right. It started with Finnish champs (FC) long distance race. 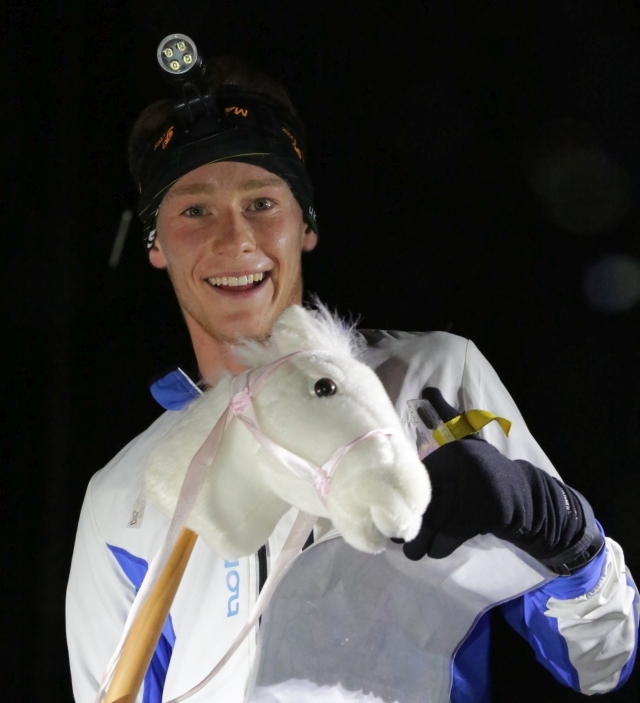 The first Kurko cup was already before FC sprint and relay weekend and I just wanted to take it easy, but there were so many eager night-orienteers that it was just impossible to run easy speed. Before FC night there were 2 Kurko races, so I got quite a bit of self-confidence in my night orienteering, which I turned into a good race in qualification and 18th place in final. Then came my first win in Hurtti-Kurko and I realized that my orienteering technique is improving a lot and that I can rely just on me and do my own orieteering all the time. Next week I was helping with the organization (I was putting the controls out in the forest) and I found out that it isn’t easy job at all to prepare event such as Kurko even though I was only putting the flags into the forest. I missed the Lehes-Kurko, because I was on the training camp in Scotland. After coming back I did the worst performance in Kurko. In those weeks, Kurko was my main thing in my training plan and I was looking forward to every Thursday to take part in, despite the weather wasn’t perfect all the time. In the second part of Kurko-season I managed to win 4 times, but unluckily on Laukka-Kurko my emit wasn’t in such a good shape and I received only 0,5 point for taking part. Last 3 races I didn’t perform that well, but it was enough to take the lead in cup from Toni, who was a clear leader until he injured himself on Vaara-Kurko and win the overall ranking. Big thanks to every organizer of Kurko race as well as every runner, who was part of the very nice Thursdays’ night-orinteering sessions. It was a great experience and also orinteering school for me.